Your Custom Home Search Starts Here! Welcome and thank you for selecting to view Greater Charlotte Metro Area Listings and real estate information from Studio 1 Realty! Whether you are shopping Rock Hill Homes for Sale, Fort Mill Homes for Sale, Tega Cay Homes for Sale, Indian Land Homes for Sale, Lake Wylie Homes for Sale, Ballantyne Homes for Sale, Luxury Homes for Sale or Charlotte Homes for Sale, Studio 1 Realty's site has just the information you are looking for and MORE! If your search isn't listed here, please refer to the list at the right of this page or feel free to create your own custom search in the box at the top of the page! Studio 1 Realty is committed to providing an exceptional client experiece every time. Our success is measured by your satisfaction. At Studio 1 Realty, your professional experience starts right now! As you search our site, you search the MLS directly! Feel free to sign up, set up and save your searches and favorite properties. You receive detailed information on every listing, photos, videos and more! Never hesitate to Contact Us with any questions! When working with a Studio 1 Realty agent, that agent is with you from start to finish! Whether buying or selling, your agent is dedicated to YOU. You will not be passed from contact to contact within a team or agency. Your Studio 1 Realty agent is YOUR AGENT from start to finish. 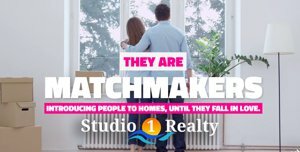 Studio 1 Realty knows there is so much more to selling real estate than just finding the right number of bedrooms, bathrooms and price! Lifestyle, work commute, community amenities, proximity to hobbies and interest and so much more factor in to your home selection and must be considered in pursuit of your new home. Get started, sign up now and again . 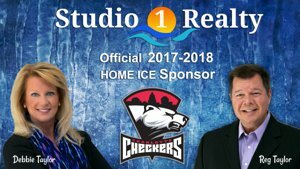 . . welcome to Studio 1 Realty! "We were so pleased with the care Mrs. Taylor gave to us. She guided us and took care of our needs in every way. We highly recommended this agent to ... more "
"Debbie Sue Taylor handled the sale of my mother's house in Fort Mill, SC. I was the representative of mother's estate, and I interviewed 3-4 ... more "
"Debbie is a one kind of realtor who goes above and beyond. She really listens and asks a lot of questions that she takes into consideration when ... more "